Carolina Beach State Park was established in 1969 to preserve the unique environment along the intracoastal waterway. The 761-acre park is located on a triangle of land known as Pleasure Island, which lies between the Atlantic Ocean and the Cape Fear River. The land became an island when Snow's Cut was dredged in 1929 and 1930, connecting Masonboro Sound to the Cape Fear River. Snow's Cut, a part of the Intracoastal Waterway, provides inland passage for boat traffic along the Atlantic coast. The park was originally established as Masonboro State Park with 290 acres purchased by the state from landowner James Carr, along with an appropriation of $125,000 by the General Assembly for facility development. Additional parkland was acquired by purchase and lease of adjacent land from the U.S. Army. This was the first time since 1916 that state park land had been acquired with funding appropriation by the General Assembly. It was also the first time a state park was acquired with funding appropriations for facility development. The General Assembly changed the park's name to Carolina Beach in 1974, following petition by the Wilmington Chamber of Commerce. The park opened to visitors in July 1971. Sugarloaf, a 50-foot sand dune near the bank of the Cape Fear River, has been an important navigational marker for river pilots since 1663. The dune was also of strategic significance during the Civil War when, as part of the Confederacy's defense of the Port of Wilmington. About 5,000 troops camped on or near Sugarloaf during the siege of Fort Fisher. The Cape Fear Indians lived in and around the area prior to European settlement. Mainly occupying the land along the Cape Fear River and its tributaries, the small tribe grew hostile to early settlers and, in 1715, participated in an uprising against Europeans in the area. The Cape Fear Indians were defeated and left the area by 1725. Artifacts of the native culture, including pottery fragments, arrowheads and mounds of oyster shells, have been found in the area. Early attempts at colonization in the area were unsuccessful, mainly due to conflicts with the Cape Fear Indians. Pirating, common in the area during colonial times, also contributed to the struggles of early settlers. In 1726, a permanent settlement was established along the lower Cape Fear. The newly settled land became an important arena for commerce when the English crown designated the Cape Fear River as one of five official ports of entry. Agricultural and timber products, naval stores, shipping and trade formed the basis of the economy. Several interesting carnivorous plants thrive at Carolina Beach State Park by trapping and digesting insects. Among these carnivorous plants are pitcher plants, bladderworts, sundews and butterworts, but the most familiar—and the most spectacular—is the Venus flytrap. With the appearance of a clam shell, the trap is actually a modified leaf. Its interior may be colored pale yellow to bright red. When its trigger hairs are touched by an insect, the halves close and the guard hairs mesh, entrapping its prey. The plant then secretes digestive fluids and, within three to five days, nutrients from the prey are absorbed and the trap reopens. Each trap dies after closing and opening three times. Throughout the growing season, new traps emerge from underground stems to replace those that have died. Venus flytraps are native only within 60 to 75 miles of Wilmington. Many species of birds live in the park. Brown pelicans thrive in the coastal environment, and warblers, finches and woodpeckers fill the woods. In summer, painted buntings, yellowthroats and prairie warblers can be seen in the forest while ospreys populate Snow's Cut. Besides providing habitat for resident land birds during the winter and summer, Carolina Beach State Park also is located along an important migration corridor and attracts many birds during their migrations. North Carolina Division of Parks and Recreation. Carolina Beach State Park. http://www.ncparks.gov/Visit/parks/cabe/main.php (accessed September 2, 2015). North Carolina Division of Parks and Recreation. Carolina Beach State Park General Management Plan. 2007. http://www.ncparks.gov/sites/default/files/ncparks/37/cabe-gmp.pdf (accessed December 30, 2015). North Carolina Division of Parks and Recreation. Annual Report of the North Carolina Division of Parks and Recreation. (Multiple years, beginning 2006.) http://digital.ncdcr.gov/cdm/compoundobject/collection/p249901coll22/id/... (accessed August 18, 2015). Carolina Beach State Park. N.C. Division of Parks and Recreation. http://ncparks.gov/Visit/parks/cabe/main.php (accessed August 18, 2015). Carpenter, P. Albert; North Carolina. Geological Survey Section. Geologic guide to North Carolina's state parks. 1989 http://digital.ncdcr.gov/cdm/ref/collection/p16062coll9/id/13533 (accessed August 18, 2015). 1987. http://digital.ncdcr.gov/cdm/ref/collection/p16062coll18/id/62440 (accessed August 18, 2015). "Name of Masonboro park could be changed soon." Star-News (Wilmington, N.C.), October 14, 1973. Knight, Catharin. "Masonboro park dedication today." Star-News (Wilmington, N.C.), July 30, 1971. Venus Flytrap. May 1986, Carolina Beach State Park. North Carolina Division of Parks. http://digital.ncdcr.gov/cdm/ref/collection/p16062coll27/id/75 (accessed August 18, 2015). 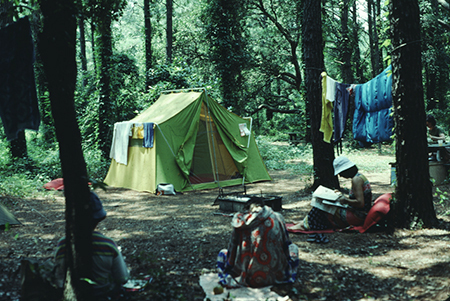 [Camping at Carolina Beach State Park]. Photograph. July 1978. North Carolina State Parks Collection. 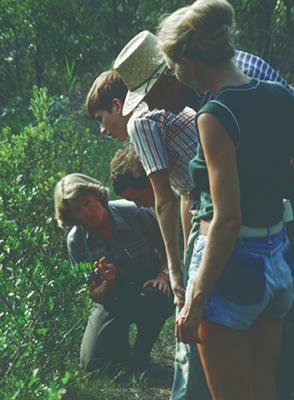 [Naturalist giving a talk, Carolina Beach State Park]. 1977. North Carolina State Parks Collection.